Amazon has price matched this Walmart Black Friday deal that is already sold out! 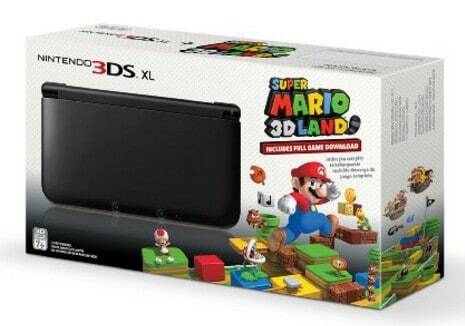 The Nintendo 3DS XL with (Pre-installed) Super Mario 3D Land Game is on sale for $129.99 at Amazon right now. That's 26% off the list price of $174.99! Take 3D photos, connect to friends, other players, or wireless hotspots with the wireless Street Pass and Spot Pass communication modes. From games to photos and beyond, Nintendo 3DS XL is the ultimate 3D entertainment system. It comes bundled with a 4GB SD card, making it perfect for downloading content from the Nintendo eShop. The Nintendo 3DS XL system plays all Nintendo DS games. Nintendo DS games will not appear in 3D.